After a short or long flight to Budapest you still need more than two hours to reach Debrecen, situated 200 km away from the capital. You arrive in a pleasant place, with beautiful flowers, spacious squares, and an old tramway dominating the main street, part of which is reserved for pedestrians. Invited guests have a hotel in the town centre, just beside the cultural centre where the choir competition takes place. Excellent quality, excellent service. Some guests happily see and greet those colleagues they have met at different choir competitions in other countries, other towns. This time they are here for the Béla Bartók 25th International Choir Competition and Folklore Festival taking place in Debrecen from 25th to 29th August 2012. This year, choirs from fourteen countries and four continents have arrived to participate in the event. 2011/2012 is a special season in the town’s history. The city was established 650 years ago as an independent royal town and it is celebrating the 150th anniversary of the beginning of local music education. Moreover Zoltán Kodály, who was deeply involved with the musical life of the region, was born 130 years ago. In 2011, several events celebrated the fiftieth anniversary of the foundation of the Béla Bartók Choir Competition and the twenty-fifth competition itself takes place this year. We can watch a colourful parade as all the choirs cross the small wooden bridge and gather in the square in front of the open stage. Most of them are young choirs, wearing their traditional costumes, and singing the typical folk songs of their respective countries. Their faces are shining with joy; they will meet again in other circumstances tomorrow, but for the time being they enjoy meeting similar young people from faraway countries and are eagerly waiting for the evening to become better acquainted with them. The city of Debrecen is pleased to host the competition once more. The mayor of Debrecen, Mr Lajos Kósa, addresses a warm welcome to all the participating choirs, and to those personalities of the national and international choral singing community who honour the competition with their presence. He also greets the members of the international jury who are present. Sessions begin early next morning. A brief reminder of the competition rules: only a cappella works may be presented at the competition. Both in the semi-final and the final, in each class a choral composition by a Hungarian composer is compulsory before the presentation of the optional pieces. The optional programme must include only contemporary choral compositions. Hungarian is not the easiest language to learn; it is difficult to find another language similar to it, and since the compulsory pieces in several classes have Hungarian texts, of course the pronunciation differs from one choir to another. However, participants do not find it a problem, since the professional organising committee arranged to give information both in Hungarian and English simultaneously, enabling participants to understand all that happens during the daily events. Loudspeakers all around the town broadcast the performances so people in the street, while walking to the supermarket, can follow in real time what is happening in the concert hall. The audience also plays an important part in attending the performances. Even during the morning sessions the concert hall is almost full, and it is really hard to find a seat at the evening concerts. Debrecen is very fond of the Béla Bartók International Choir competition and particular attention is given to this major event, expressed also through a unique initiative: since 1970, at each competition the town has commissioned original contemporary choral works from young composers, and these are premiered at the opening ceremony concert, interpreted by the well-known professional Kodály Choir of Debrecen. This choir was founded by György Gulyás, who was also its conductor for some years and who also initiated and founded the Béla Bartók competition, devoted from the very beginning to contemporary choral works. The competition takes place over several days in the Kölcsey Centre Grand Concert Hall, with professional equipment and excellent acoustics to ensure high quality performances. On the occasion of the opening gala concert, Mr Béla Somogyi, Deputy Mayor of the Municipality of Debrecen, responsible for cultural affairs, and also President of the Competition, reminds us briefly that the legendary György Gulyàs launched the competition in 1961, fifty years ago. He invited Zoltán Kodály to be the first honorary president, but as Kodály was living in Switzerland and could not attend the first competition, he replied to the invitation with the following words: “Although I cannot be with you personally, I am with you in my soul and thoughts. Vivat, crescat, floreat.” May it live, grow and flourish. Did he think at that time that half a century later the competition would be still alive and still guarding its main goals and main concept, the promotion of contemporary choral music, and becoming at the same time a notable event for the international choral community? The competition is indeed still living, growing and flourishing. Several works by young composers are performed at the opening gala. The composers are invited to join the choir on the stage and are presented to the audience. What a festive moment, when a couple dressed in local traditional costumes walks to the stage each time, to congratulate the composers and present them with flowers. Up to this year, about a hundred works have been commissioned and the competition is thus a catalyst for promoting contemporary music, presenting unknown challenges each time. The opening ceremony ends with a previously quite unknown masterpiece of Kodály, The Music Makers, composed to celebrate the 700th anniversary of Merton College, Oxford, in 1964. The special feature of this performance is that it is conducted by one of Kodály’s students, the same Làszló Heltay who directed the concert forty-eight years ago. He agreed to conduct on this occasion the Hungarian premiere in Debrecen of this piece by Kodály. So now the competition is officially inaugurated; sessions will continue for two days. In 2005, in Kyoto, the International Federation of Choral Music classified this competition one of the ten best choir competitions worldwide. This should come as no surprise, for the tradition of singing in Debrecen goes back several centuries. As has already been mentioned, the town is also celebrating this year the 150th anniversary of organised musical life in Debrecen. Goodwill and voluntary work led to the foundation of the “Zenede” (music institute). The languages of education at the time were Latin and German, and the first institute where musical education was given in the Hungarian language was the Conservatory, which gave to the Hungarian and international music world many famous choral masters, musicians, historians, and conductors. It was the first institute to which Zoltán Kodály gave his name during his lifetime, since music education in the institute was based on his famous method which is still serving as a model for music teaching in many countries. The members of the international jury at the choir competition worked harmoniously together, according to Peter Broadbent, whose loyalty to Hungary and to the Debrecen competition is beyond any doubt. 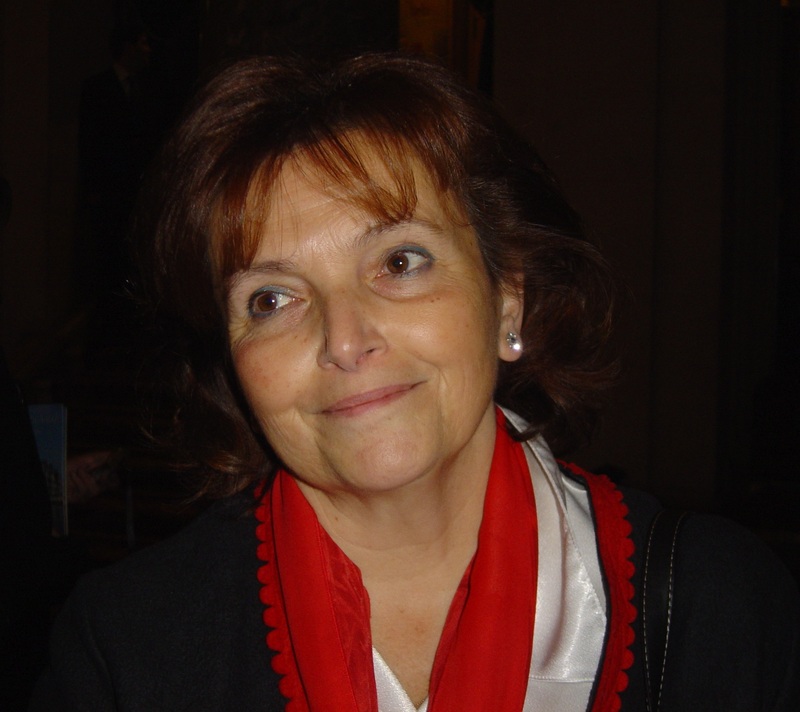 Maria Bartha: Peter, was your work on the jury a simple or difficult task? Did you agree with your colleagues? Peter Broadbent: The work of Jury ‘B’ was generally conducted with remarkably few disagreements, in a splendid spirit of cooperation and a very friendly atmosphere. The disappointing standard in the Children/Youth and Equal Voice classes caused some discussion about which prizes should be awarded, but there was complete agreement about the order, and a lot of helpful and constructive comments from colleagues. The standard of the mixed and chamber choir classes was obviously very much higher, and once again there was agreement about the order of the results, and very good discussions about the programmes along with an appreciation of the quality of the compulsory pieces. The international jury was actually divided into two sections, Jury A and Jury B. Members of Jury A were Philip Brunelle – President of the jury and conductor (USA), Ursa Lah – conductor (Slovenia), Ferenc Sapszon – conductor (Hungary), Csaba Somos – conductor (Hungary), Philippos Tsalahouris – composer (Greece). Members of Jury B were Peter Broadbent – President of the jury and conductor (United Kingdom), Mykola Gobdych – conductor (Ukraine), Levente Gyöngyösi – composer (Hungary), Harald Jers – conductor (Germany), Ágnes Török – conductor (Hungary). The announcement of the results took place on Sunday and the winners of the various classes were as follows. The Lautitia children’s choir (Hungary) obtained sufficient marks for the Second Prize (the First Prize was not awarded) and was also proclaimed the most successful children’s choir. The Kamēr…Youth Choir (Latvia) won the First Prize in both classes. The Bartók female choir of the University of Miskolc finished second; the first place was not awarded. 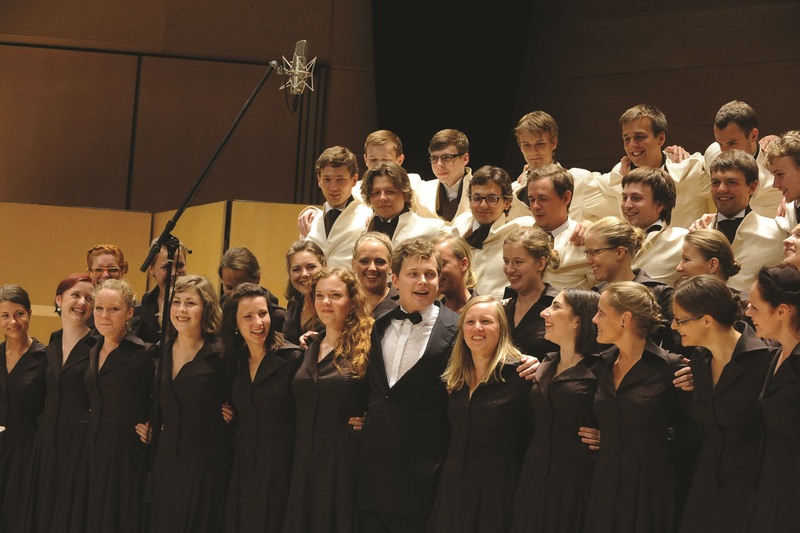 The Grand Prize of the Béla Bartók 25th International Choir Competition was awarded to the Youth Choir Kamēr… from Latvia. At the closing concert of the competition Kodály’s Psalmus Hungaricus was performed by the city’s official choir and symphony orchestra, with excellent soloists. As well as the competition sessions, choral folklore shows took place on the stage, and there were flash mobs and surprise concerts at various locations. Other choirs gave concerts of sacred music. During the competition participants could see scenes from different periods of Bartók’s life by visiting the special exhibition in the hall. There is not enough space to narrate the fifty-year history of this competition, but József Balogh, the Festival Director, knows it by heart. Using selected documents, he put together a retrospective presenting the major events of these fifty years. A few facts and figures will help to illustrate the continuous and lasting development of this unique festival. Since its inception, the Béla Bartók choir competition has been organized on a solid professional basis and at a very professional level. Today an Artistic Committee coordinates the event and decides on classes, number of participants, compulsory pieces, and the selection of candidates. The committee also proposes international jury members and suggests composers. The organisers have established close contacts with professional partners and national music institutions, whose representatives are invited to attend the sessions and events. 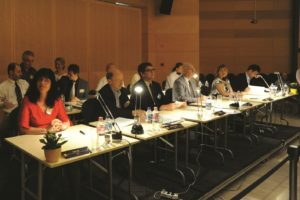 The National Federation of choirs and orchestras was represented by its President, Éva Kollár, who presents the situation and role of the event within the national framework and within an international context. MB: What does the Béla Bartók Choral Competition represent in the context of the Hungarian choral scene? 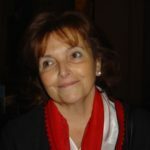 Éva Kollár: Since the foundation of the Béla Bartók Choral Competition in 1961, this international musical event plays a very important role in Hungarian musical life. Considering the country’s situation during the recent past, the participation of foreign ensembles at a ‘socialist’ nation’s festival – behind the iron curtain – was an extreme event; however the influence of these high level guest choirs was generally fruitful for the host ensembles as well as for Hungarian composers. 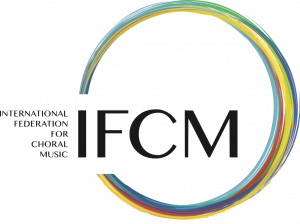 The new connections with the foreign musical world opened up new possibilities for the home organizations and for the whole Hungarian choral scene. From the musical point of view, the unique character of this competition focusing on contemporary choral music has formed a rich new repertoire for choirs. This period corresponded with a special time, the explosive development of music education deriving from Zoltán Kodály’s flourishing ideas for music in schools. The result was an effective and successful new wave in choral life for both children and adults. This is what makes the Béla Bartók Choral Competition so notable, and it has kept its original character and quality over the years. The organizers order new compositions each time the event takes place, providing a frame for performances in front of a national and international audience. Today the Béla Bartók Choral Competition, together with the Zoltán Kodály National Choral Competition, covers an important role in Hungary, enabling ensembles of various formations to perform high level musical work and providing a venue for its debut before an international audience in Hungary. MB: Why is Hungarian choral music, which is so beautiful, not very much performed abroad? Is it only on account of the difficult language, or is there another reason? EK: As a member of the jury at several international choral events, I have noticed that at almost every festival or competition Hungarian compositions are heard. There are the best-known composers, of course, such as Zoltán Kodály, Béla Bartók, Lajos Bárdos and Miklós Kocsár, but more and more works of György Orbán, Miklós Csemiczky, János Vajda, Levente Gyöngyösi and Péter Tóth are becoming familiar to choirs from other nations. It is true that pieces written in Latin are the easiest and most widely available for choirs around the world. The phonetic characteristics of the Hungarian language present a really difficult task for the singers. The rules of pronunciation are logical, but the structure of the phrases, the particular vowel sounds, and the cadences of our language make it slightly strange to the European ear, while choirs in Japan – for example – find it much easier to learn Hungarian texts. They seem to share some relatively common musical sense with our music. There is sometimes a connection between Hungarian works and Hungarian folk music arrangements, giving these pieces a special character, which is as interesting for audiences as it is difficult for foreigner performers. The typical rhythm, the recitative manner of diction, parlando, and the frequent dance tempo make this music unique and require much greater efforts from singers from all over the world. There is a third problem with the widespread performance of Hungarian compositions: publicity. The problem for organisers is that they have fewer occasions for presentation and for commercial advertisements. It is not only a question of poor financial resources; at times they are also slow to act. This is something we need to change very soon. Last but not least, you may wish also to know something about Hungarian food, so let’s ask the expert opinion of Peter Broadbent again: he is very familiar now with Hungarian specialities. PB: Traditional Hungarian food often seems rather heavy for western European tastes, but I have eaten very well on all my visits to Hungary. There are an increasing number of restaurants where a more modern and lighter approach to typical Hungarian recipes can be found, with meals which are not too intimidating in terms of quantity. The classic dishes like Gulyas soup, Pörkölt (a casserole), Halászlé (fish soup) and the famous Hortobagyi Palacsinta (pancakes) are wonderful, but I think best eaten in a friend’s home. Are your ears already accustomed to the dissonant chords of modern music? Should your choir wish to learn more about the competition or how to experience it, you can visit the website below. 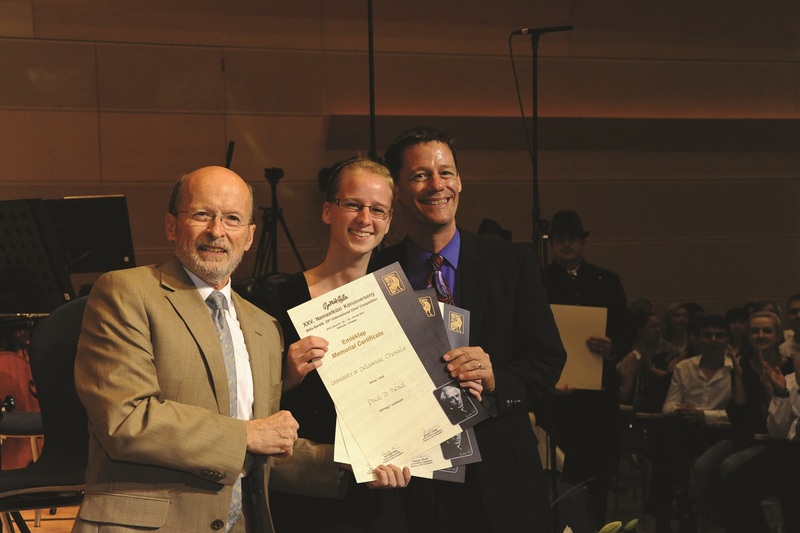 Maria Bartha: Bachelor degree (flute) from Kodály Zoltán Conservatory in Debrecen, Hungary. State diploma (French, English) from the “Academy for Foreign Trade” in Budapest. Work at Interkoncert in Budapest, at the Opera & Ballet Department. In France, co-founder of Bussy-St-Georges Music School, President of a music theatre for children in Bussy. Twelve years at the International Hotel Association, seventeen years at OIV (International Organisation of Vine and Wine), an intergovernmental organisation with 43 member states; among other duties, coordinator of sixteen scientific working groups. Follow-up of students (master degree); also in charge of the preparation and follow-up of the organisation of international wine competitions, in collaboration with local staff. Complementary studies in geopolitics, auditor at CNAM (University for lifelong learning) and IRIS, Department of geopolitics and foreign affairs, two years’ specialisation in European Union affairs.